The first message was very strange since the machine was freshly deployed from an OVF. According to the vendor this issue occurs when the date and time on the Hypervisor Host is wrong. After correcting the date and time of the hypervisor to the current date and time this problem should be resolved. As you can see I tried a lot (while not all of them made sense, I agree) but I could not find the sweet spot. Time for the next approach! 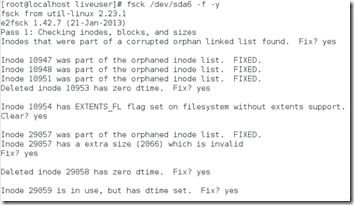 Since I found no other solution I addressed both problems at the same time: run a file system check. 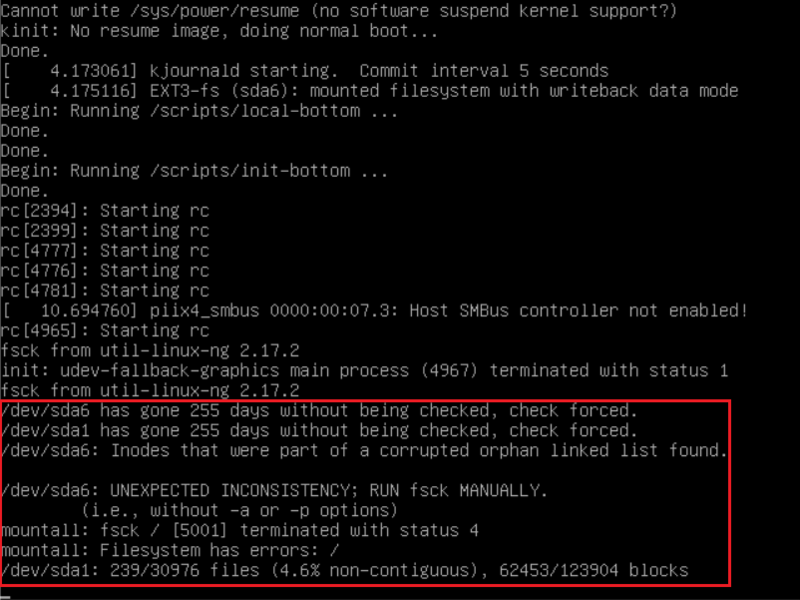 Since the machine halted I was unable to run any command, including fsck,. So I mounted a Linux Live CD (FedoraLiveCD in my case, but you could also use the Ubuntu LiveCD) and ensured it booted from CD (change the boot order). After starting a shell (Terminal) I ran the su command to elevate my permissions. 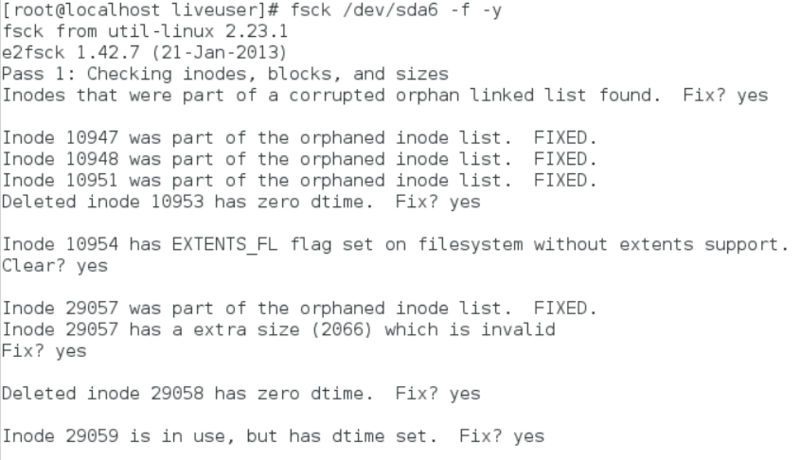 Next I ran the fsck command on the /dev/sda1 device with the –f argument to force checking of the file system and the –y argument to answer Yes on all questions. And the same command but for the the /dev/sda6device,. Sure enough (after unmounting the ISO) the machine now boots succesfull.